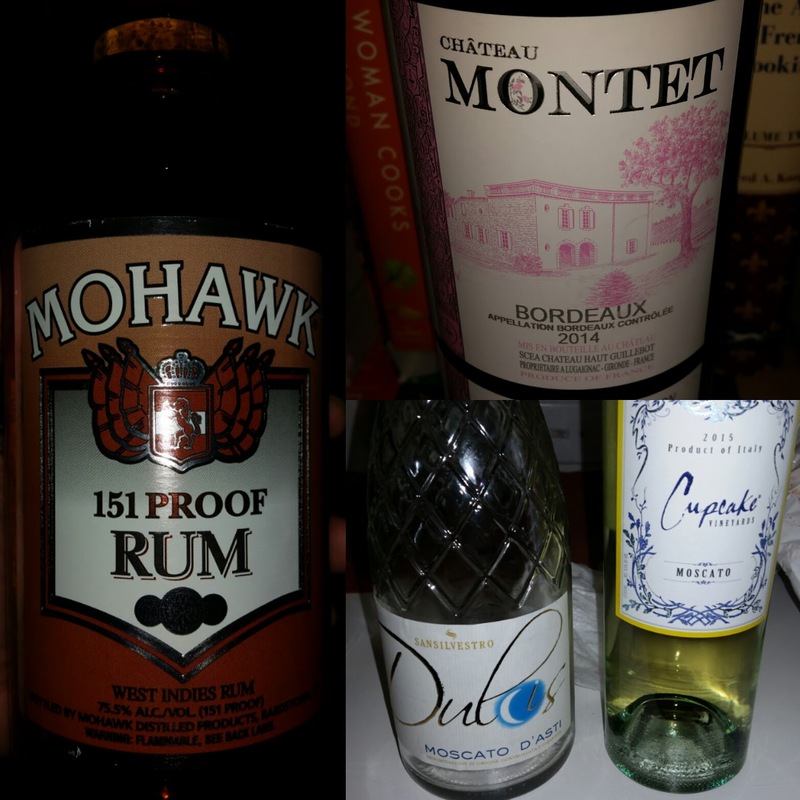 Two Moscatos, One Bordeaux, and 151 Rum... Ready for the Holidays Now! Picked up a bottle of Mohawk 151 Rum; did not know Bacardi 151 Rum is no longer availale in the US. The Mohawk will do for the Egg Nog for now. Then, tried a San Silvestro Dulcis Moscato d'Asti and Cupcake Vineyards Moscato. The San Silvestro is a little on the light alcohol content side, so the Red Wine Wino was not impressed. But, the Winos did note the sweet taste made it a keeper for future purchases. The Cupcake Vineyards Moscato was stronger at 9.5% but not as tasty as the San Silverstro! Winos went Neutral on this one. The Chateau Montet Bordeaux was all good for the Red Wine Wino but the White Wine Wino did not like the dryness but did agree to buy it again... the Bordeaux gets a Good Rating! 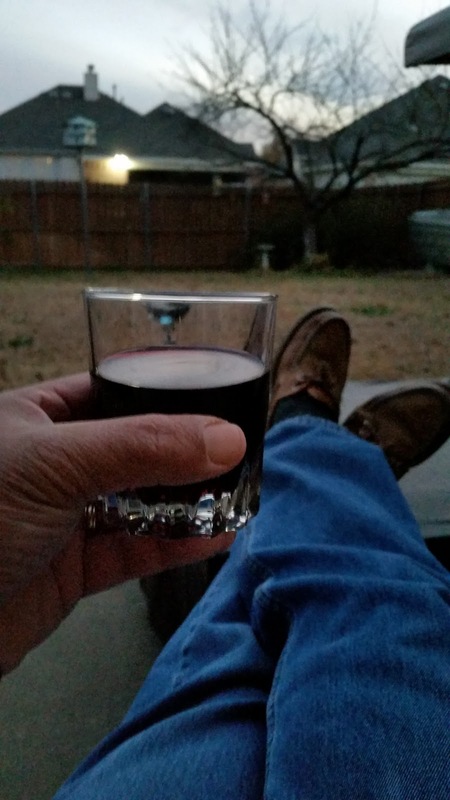 Barefoot Cabernet Sauvignon... On a Cold Winter Evening! Hanging out on a cold winter evening; temps were dropping to the Teens Sunday. What better way to close the weekend then with a glass of red wine - Barefoot Cabernet Sauvignon to be exact. This one has again earned a Good Rating from the Winos! 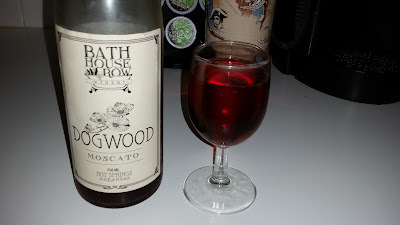 Opened a bottle of Moscato that the Winos picked up earlier this year in Hotsprings, AR. Bathhouse Row - Dogwood Moscato comes sweet and with a little "fizziness"! Both Winos agreed to purchase again; it gets a Good Rating! Margaritas Made Strong at Gloria's Restaurant! 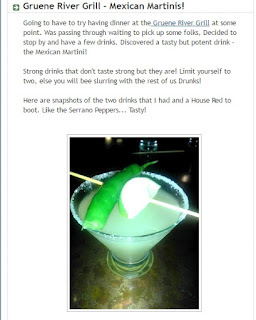 Always liked the extra oomph of Gloria's Restaurant House Margaritas! Winos opted for margaritas over wine this round. 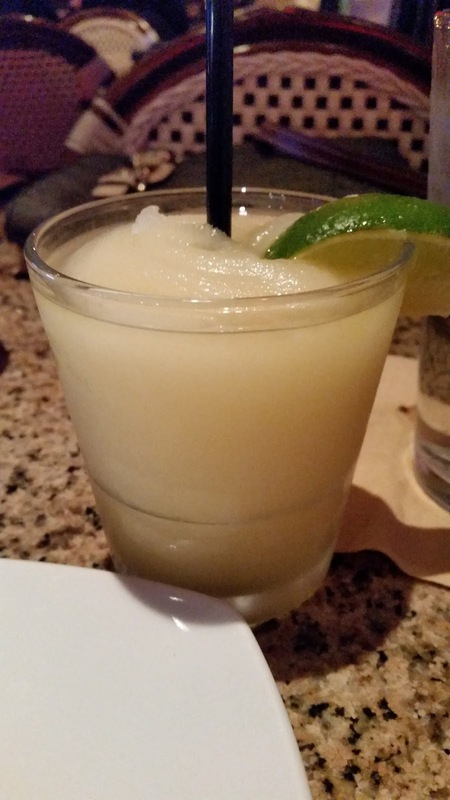 Do like margaritas but for some reason, the Mexican Martinis from down south at the Gruene River Grill is calling, Not sure when we will be back there but for now... Margaritas will do! PS: Gruene River Grill Mexican Martnini! Barefoot Cabernet Sauvignon... and Paella! 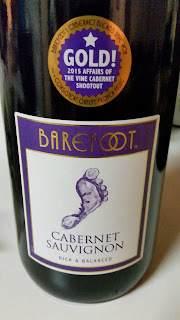 Have had Barefoot's Cabernet Sauvignon, in the past and the Winos liked it. 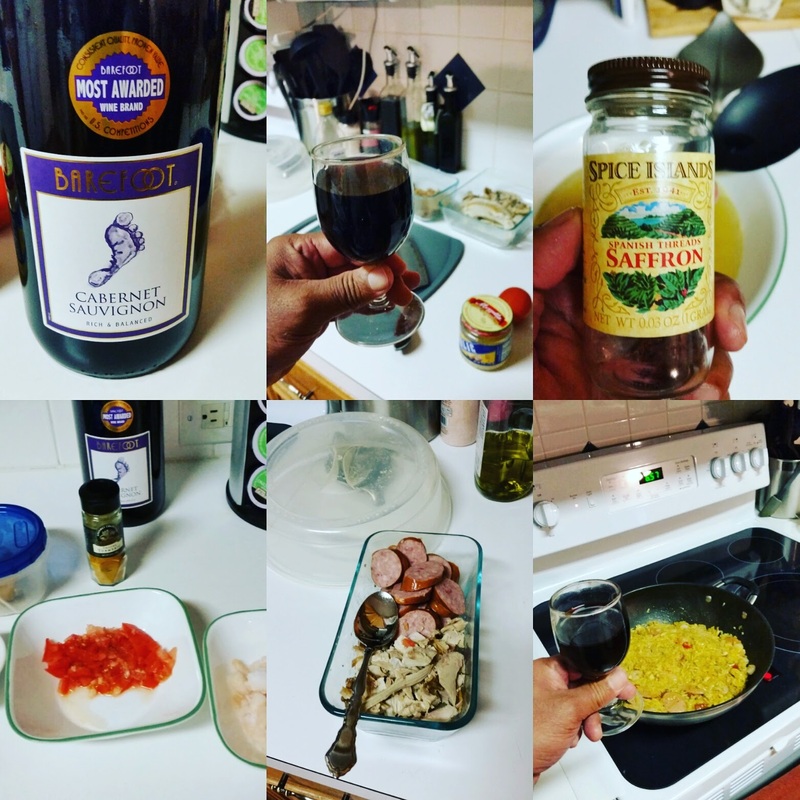 But, this round, the Red Wine Wino out his chef's hat on and used up Thanksgiving Day leftovers to make a Paella! As it turned out, the wine and paella made for a tasty combination. 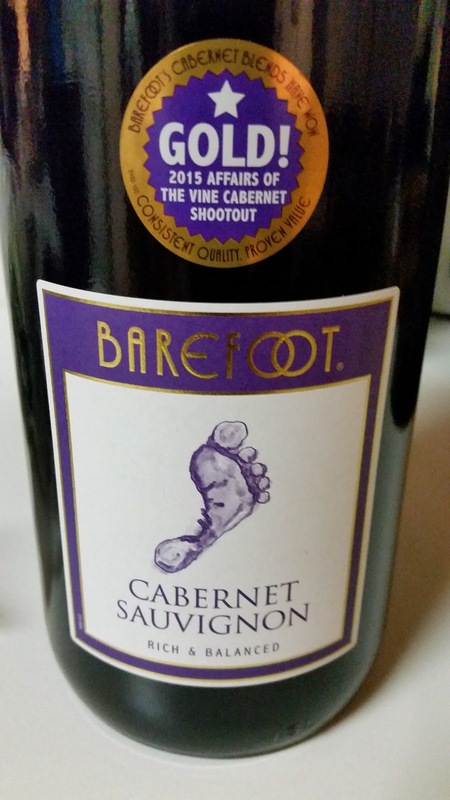 Barefoot Cabernet Sauvignon gets another Good Rating from the Winos!